Two critical times when renting a property is the move-in and move-out. Whether required by the landlord or not, insist on a walk-through with the landlord or rental agent. This protects everyone’s interest but especially yours, since your deposit will be dependent on the condition of the property when you move-out. Thoroughly documenting the condition at move-in will remove all question of the condition of the property at a future date. Use of Video: Almost everyone has a video recording device today, whether it is a digital camera, camcorder, tablet, or cell phone. Nothing works as efficiently as a video for capturing the condition of the property at move-in. As well as documenting the property condition record the individuals involved in the walk-through. If people are on the video they cannot deny being involved with the documentation. As you proceed through the property record everything methodically, talking as you go to highlight issues or concerns along the way. Take your time and thoroughly document conditions. If you have concerns about a certain issue document the response to your concern as well. When the walk-through is complete make sure you save the file and download it to a more secure device for safe keeping. Be Complete: In addition to checking that everything is there that is supposed to be there, check to make sure that everything works. When seeing if everything works document this too. Keep that video recording to document what is working and what isn’t. Look for signs of water damage around windows and doors, the edges of the ceilings and around the baseboards. If you have an electrical meter or tester bring it to the walkthrough. Don’t be afraid to utilize this during the walk-through to document that outlets are (or are not) working properly. 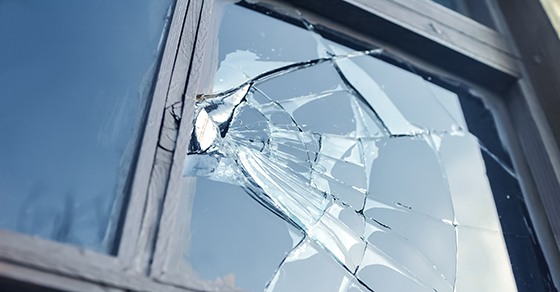 Losing a Security Deposit: One of the most common reasons to lose either your entire security deposit or a portion of the deposit is damage to the property beyond normal wear and tear. What constitutes normal wear and tear? Small nail holes from hanging pictures, light mildew forming on bathroom grout, loose fixtures, etc. Normal wear and tear is essentially what happens when you occupy a property but keep the property in good shape. What would be above and beyond normal wear and tear? Anything that indicates the property had been abused will most likely be considered damage. This is where the video really helps out. They tell you that a smoke detector is missing and that you cracked a switch cover. You say it was like that when you moved in. Whip out the video of the move-in walk-through and see for yourselves who is correct, and it will determine whether you get that deposit back or not. Be methodical and be complete, and the use of video will be your friend in documenting the condition of your property at move-in time.